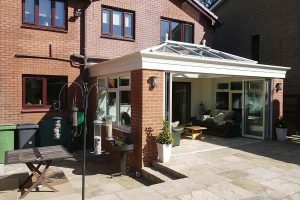 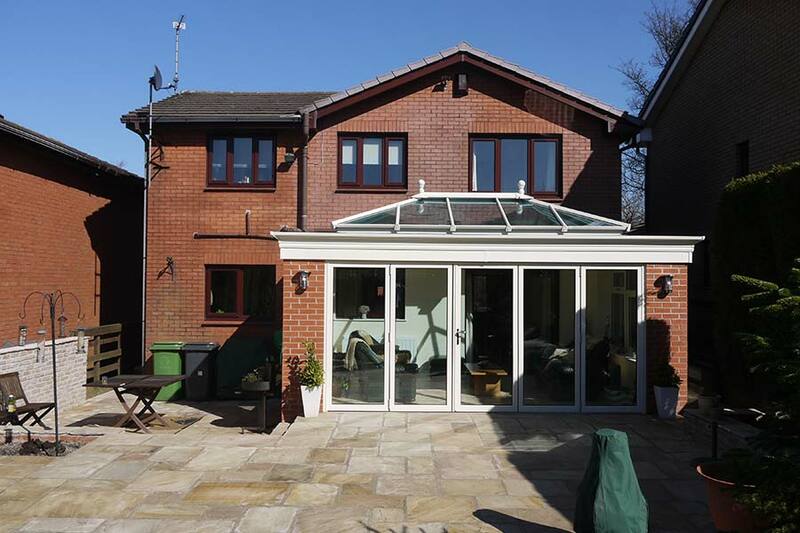 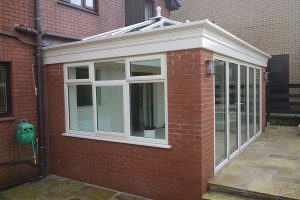 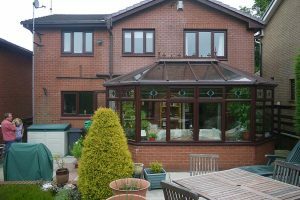 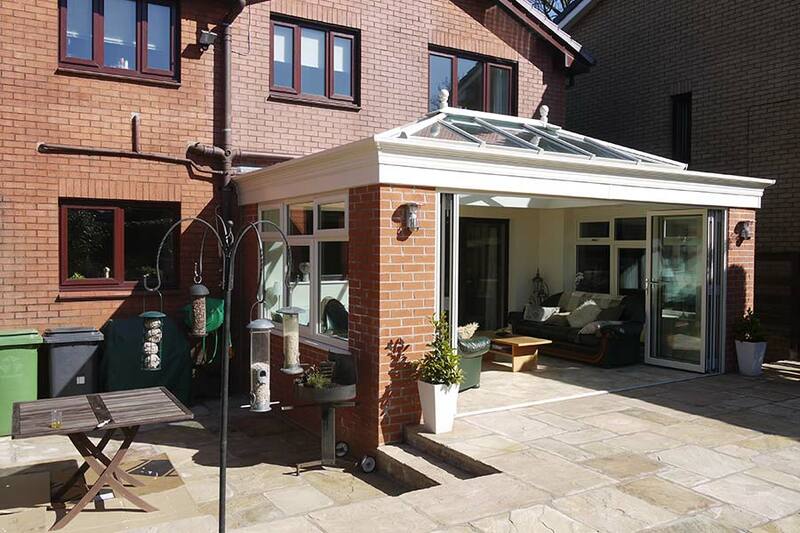 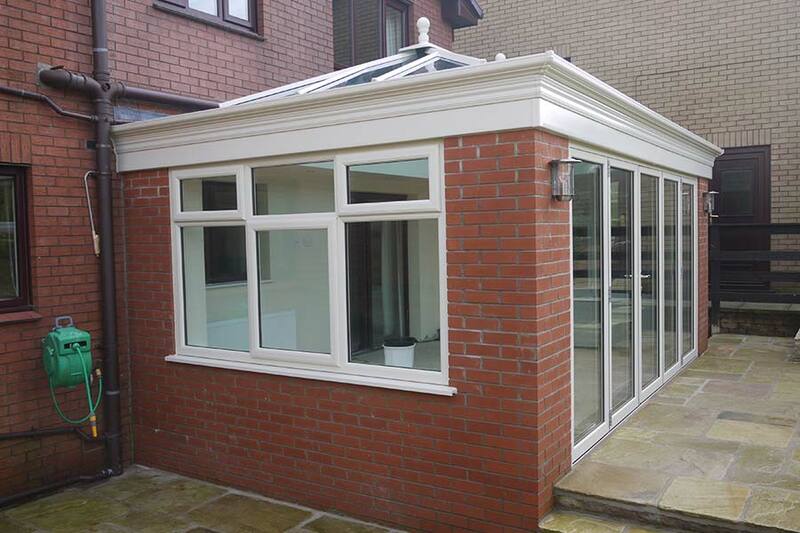 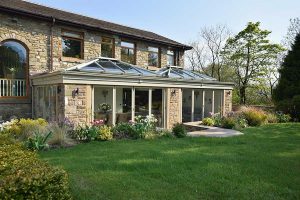 The Walker’s came to Valley Conservatories with a vision of replacing their existing conservatory and polycarbonate roof with a sleek, elegant orangerie that would be suitable for all seasons and conditions. 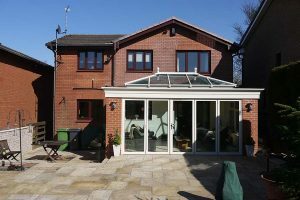 They also required their rear garden restructuring to allow the creation of a luxurious patio area which would expand on from the orangery. 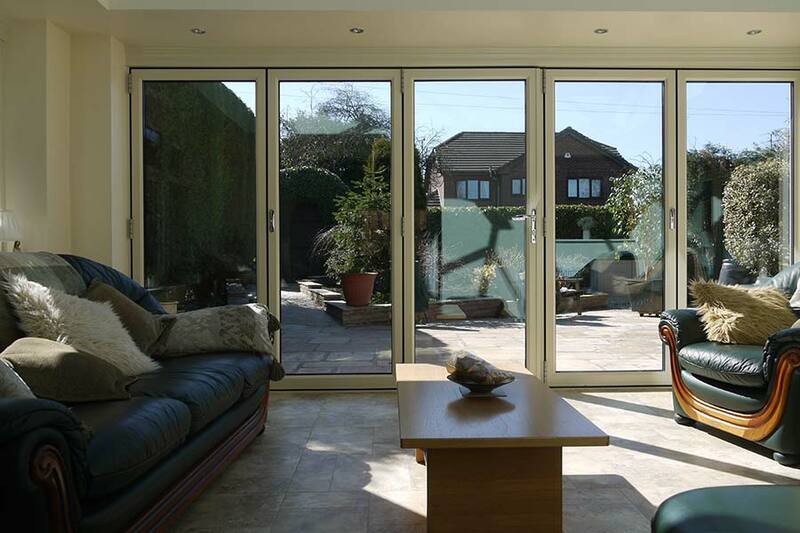 he result was a stunning, luxurious living area which provided extra space for leisure and relaxation. 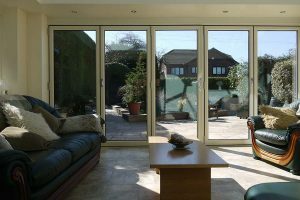 The bi-folding doors allow the entire front of the orangery to open out on to the brand new patio area, providing the perfect area for parties and entertaining.